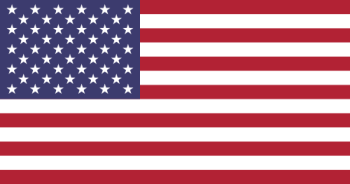 The large 50 States and Capitals Map below provides details of all the States and Capitals in the United States of America. Capital Cities - Look for the Stars! Mapmakers use symbols, lines and colors to designate various things on maps. The capital city of every State is designated on the map by a star. The stars on maps allow the viewer to identify the approximate location of the capital city within the area covered by the state. 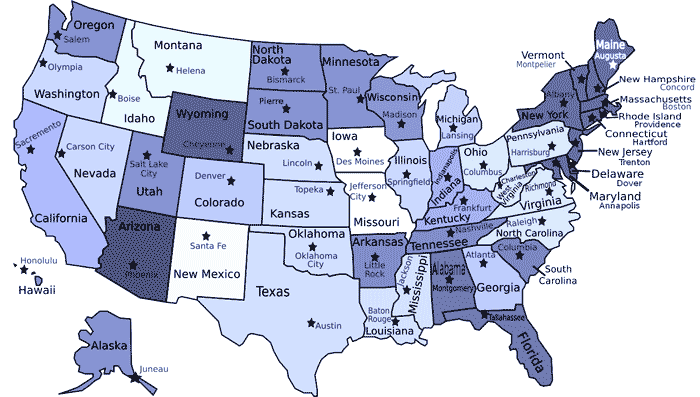 We have provided articles on the maps of all the individual 50 States and Capitals. The large map provides a bird's eye view of the United State of America. The country is often divided into 5 Regions of the United States. Test your knowledge of the USA with a fast, fun States and Capitals Quiz Game for those learning about the capital cities of America. We hope that the interesting facts and information provided on the above maps will help kids and school children with their homework. Learn more by playing the State and Capital Quiz Game!